SL Mascot: I said MEDIATE not MEDITATE! 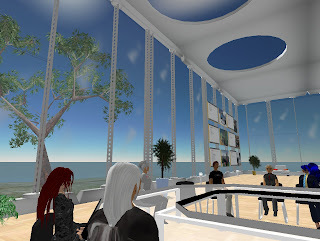 I took part in a group discussion earlier today about the use of virtual worlds for conflict reolution, negotiation and mediation. As I have already noted several times, SL provides a medium which promotes communication. 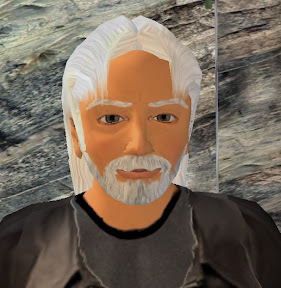 There seem to be many reasons for this..... not least the immersive environment; the use of avatars to give "presence"; and the annonymity afforded by the keyboard and screen interface. There are also key differences between a meeting in SL and a "Real" meeting - the lack of facial expression; the physical separation of the protagonists; the use of Chat and IM vs speech to name but a few. First of all, the participants in a virtual meeting are actually in different places. So even if they can't stand to be in the same room as one another, they can share the same virtual space. There is no threat of physical violence - after all, you hit my avatar & I don't feel a thing! No one has to lose face by condecending to meet the opposition; all 3D ground can be considered "neutral". Next, particularly if CHAT is used, rather than a voice system, discourse takes place at a slow pace - with participants having the opportunity to review what they are about to say before hitting the "send" button. This gives the opportunity to put the brain into gear before setting the mouth in motion. Furthermore, it gives a full audit trail of what has been "said", providing an opportunity to review the discussion to date. There is no chance of missing something that was said (thanks to the audit trail) and in Chat, no-one has a strong regional or foreign accent to be misunderstood! The limited gestures and lack of facial expression simplifies discussion - it means that the written text has to convey all the information, without the nuances of intonation or expression. It also means that there is less chance of a "knee jerk" response to something the other side has said..... it takes a conscious decision to START SHOUTING AT SOMEONE!!!! With a 3D virtual environment, however, the protagonists have the chance to move around in physical space (relative to one another); so as a discussion progresses, the avatars can physically as well as emotionally get closer together or move further apart. The environment also gives the opportunity for all sorts of meeting venues - from sitting around a camp-fire to floating 300ft up in mid air! So with all these points to consider, it would be interesting to see what a "professional medator" thinks of SL as a medium for negotiation. I think there could be some mileage in it.....what are YOUR views?